Orange brown color with green traces. Medium structure. Almost no reflexes. Since I broke the cork I had to decant it anyway and was very happy that the nose showed no signs of bad aromas or being in the bottle for too long. Tons of Malt, Toffee and a slight touch of honey. Very seducive. Right after opening the palate was very tired and mineralic - could not hold what the bouquet had to offer. After two hours of intensive discussion the palate recovered and got much closer to the nose without ever reaching the full complexity. Fairly short aftertaste, but we all agreed that the aromas were in our memory for very very long. Rated 18. 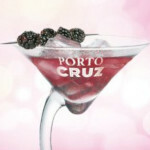 Due to the age the Port was very exciting, due to the fact that it wasnt bottled to remain another 50 years, outstanding. That’s a great picture, especially with the 1990 Burmester next to it! Sounds a bit like my youngster from 1944 - indestructible..